Originally published by LINEBooks in 2008, sybil unrest by Larissa Lai and Rita Wong draws out the interconnections between feminism, environmentalism, and personal–political responsibility, highlighting and questioning notions of "human" and "female" evident in contemporary North American culture. It does so by referencing "Popular cultural icons, political figures, business slogans, transnational corporations, and other presences in our media–saturated world [which] populate the lines," in the words of a reviewer from Asian–Am–Lit–Fans online journal . Yet sybil unrest is more than a glorious odyssey through contemporary culture. Reviewer Sophie Mayer, writing on her blog on Chroma, compares sybil unrest to works by Anne Carson and Mary Shelley. 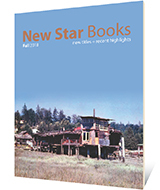 And Lauren Fournier, writing in the Fall 2011 issue of West Coast Line, draws attention to the way sybil unrest unlike the traditional avant–garde poetics, focused only on the cultural and aesthetic, expands outward into the cultural and political social worlds. This book marks its space in 21st century poetics in indelible ink. The focus away from an "I" and onto an interactive and malleable subjective takes this foray into the avant–garde and makes it into "a critique of 'human' as a species", as Sonnet L'Abbe remarks in the Autumn 2011 issue of Canadian Literature. sybil unrest is clever, filled with delirious wordplay, deprecation and a subtle humour that will catch you unawares and make you laugh out loud. Larissa Lai is the author of two novels, When Fox Is a Thousand, shortlisted for the Books in Canada First Novel Award, and Salt Fish Girl, shortlisted for the Tiptree Award, the Sunburst Award and the City of Calgary W.O. Mitchell Award; one book of poetry Automaton Biographies, shortlisted for the Dorothy Livesay Award; and a chapbook, Eggs in the Basement, shortlisted for the bp Nichol Chapbook Award. Through the 90s, she was a cultural organizer in feminist, GLBTQ and anti–racist communities in Vancouver. Now, as an English professor at the University of British Columbia, she teaches courses on race, memory, and citizenship, as well as on biopower and the poetics of relation.